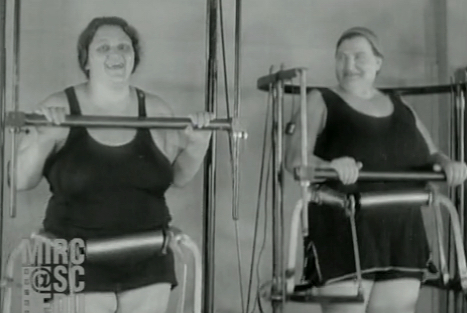 My grandmother Sophie Pescovitz died when I was 2-years-old so I was blown away to see her in these outtakes from a crazy 1930 newsreel in which she demonstrates a bizarre "weight loss" machine! Bubbie Sophie says with a wink, "Won't my husband love me now when I get home? You know, they like them thin!" Bill Barnwell topped the scales at 334.7 pounds on January 1, 2105. This year, he's a little over 200. In this essay he writes about his depression, body image, compulsive eating, and what he did about it. Barnwell describes his compulsive eating as "the fear of missing out." My compulsive eating had little to do with hunger and was almost never enjoyable. Instead, it was like trying to chase a vague, indefinable comfort, some satisfaction that never arrived — or even could arrive. It was the fear of missing out, but for food and constantly. I would struggle to pick between two fast food places and just stop at each of their drive-thrus, hiding the soda cup and the wrappers from the first one so the second cashier wouldn’t see, because being caught in my embarrassing act was somehow more shamefug than the actual behavior I was committing. The idea of just waiting for another day just wasn’t realistic to me; I absolutely, compulsively had to get that sandwich from Wendy’s. The act of ordering the food, of making the conscious choice to indulge, was far more important than eating the stupid thing. When your body gets cold, your metabolism cranks up. You burn more calories. 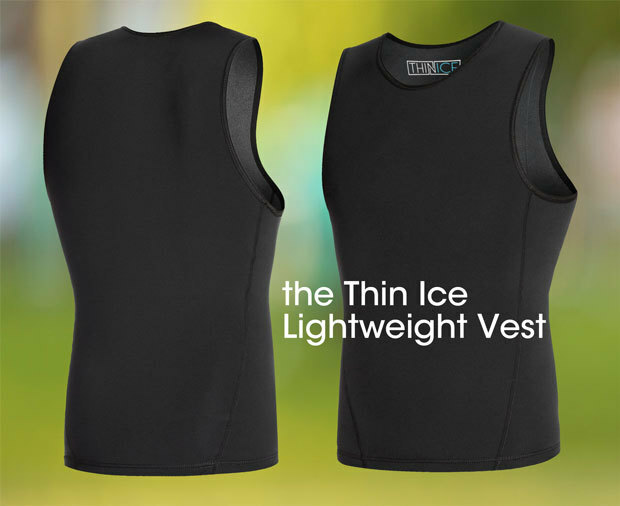 Thin Ice is making vests, shirts, and insoles containing battery-powered Peltier plates, which become cold when current passes through them. You can control the cooling system with a phone app. The manufacturer estimates that you can burn between 500 and 1000 calories a day wearing the clothing. The flaw with Thin Ice is that being cold makes you hungry. Your brain will demand food to replace the calories you are burning. Diets don't work if you are hungry all the time. 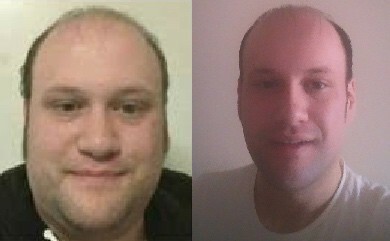 Rob mentioned earlier today that a low carb diet has helped him lose weight. I've been on a low carb diet for almost five years and my weight has stayed down, and I rarely get ravenously hungry. The Body Mass Index is a popular way to measure and assess whether someone is overweight or underweight. Basically, it's just your weight divided by your height. BMI is a simple system, but it does have some flaws. Over at the Obesity Panacea blog, Peter Janiszewski (who has a Ph.D. in exercise physiology) has a nice post explaining why BMI is sometimes useful, and also why it's not a great measurement of individual health. Right now, I bet you're chomping at the bit with, "Yeah! The BMI doesn't distinguish between fat and muscle!" And you're right. It doesn't. A simple BMI measurement would tell you that The Rock is no different than an out-of-shape couch potato of the same height and weight. Obviously, that's a flaw in the system. But it's not the most important flaw, Janiszewki argues. In fact, he says, this well-known problem with BMI is the easiest one to work around. A simple visual check can tell your doctor whether your high BMI is due to excess muscle or excess fat. The real problems with BMI, he says, are a lot more complicated. For one thing, the system doesn't distinguish between very real differences in health outcomes for different body types. 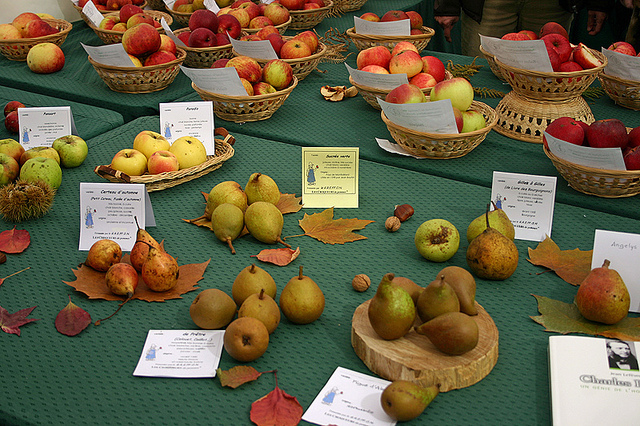 "Pears" and "Apples" might have the same BMI, but with opposite health results. Even more troubling: You can change your lifestyle, and become objectively healthier, and your BMI might not budge. This is particularly so if you adopt a physically active lifestyle, along with a balanced diet, but are not necessarily cutting a whole lot of calories.